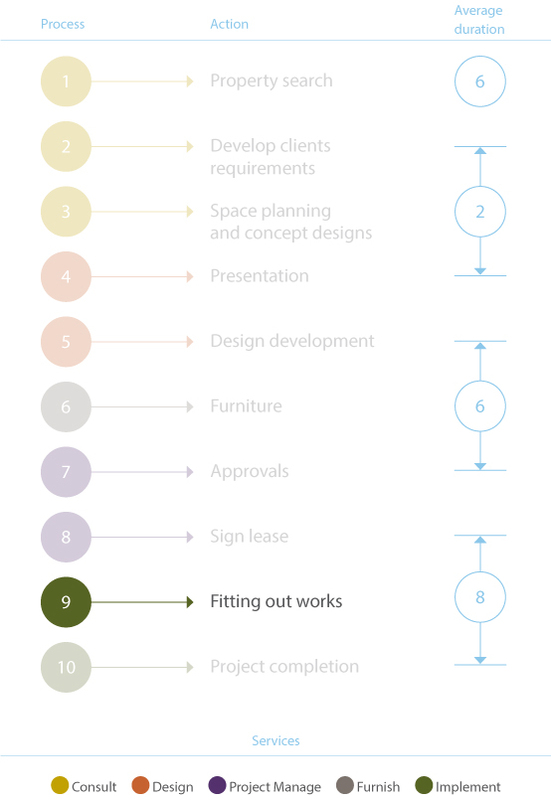 The team at Workspace provide an end-to-end commercial relocation service from premises negotiation and landlord approvals through to interior design, refurbishment, office fit-out and budget management. Our Contract Managers are site based. They take responsibility for the day to day running of the site. Issue change requests to cove and changes required by our client. Carry out snagging inspection on completion of works. Implement and manage Health safety and welfare on site.